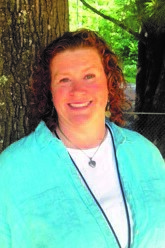 Ruth began teaching in 1990 and has a B.A. degree in Elementary Education. She later obtained a Graduate Certificate in Moderate and Severe Special Needs, and a Masters Degree in Education. She began teaching in Boston at a child development center for toddler and preschool aged children. Here she worked closely with an early intervention team, which sparked her passion for the field of special education. She then worked at The May Center in Arlington Ma. with children 3-5 years old who had been diagnosed with autism and related behavioral disabilities. From Boston, she and her husband John moved to Colorado. Ruth was employed at an elementary school and worked with children in grades k-3. During the next 3 years she created and taught a pilot program; a k-1-2 full inclusive classroom setting, where children with severe needs could remain in a regular classroom setting full time. This program was a success but it was time to move back to New England to raise their 3 children: Jack, Ben and Tansey. In Maine Ruth worked as a Developmental Therapist for CDS and quickly realized the need for a specialized preschool program in our area. She wanted to create a classroom that could service children with special needs but also offer inclusive programming with children without special needs. Here the dream for The Shooting Stars Program became a reality. Originally from Georgia, Mardi moved to Maine with her husband and daughter in the fall of 2006. She started subbing at Shooting Stars in 2010 and officially joined the Green Star classroom in 2015. In her spare time, Mardi loves to travel and is an avid reader. She is very excited to be working with such a wonderful group of teachers and the students who always put a smile on her face. Neallie became interested in working with children with special needs as a child when her cousin was diagnosed with Rett Syndrome. She worked during high school and college at Camp Capella through the Cerebral Palsy Center in Bangor, as a counselor and Assistant Director. 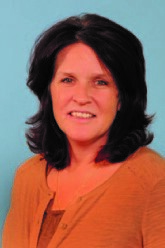 Neallie began her teaching career at Easter Seals Early Intervention Center in Orlando Florida in 1990 after earning a BS in Rehabilitation from Springfield College. 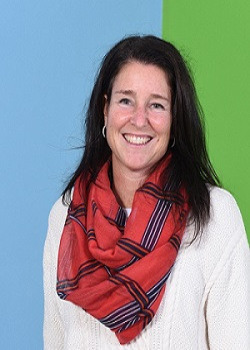 She taught at the Morrison Center, formerly the Cerebral Palsy Center as the classroom Developmental Therapist for 11 years, while earning her Masters Degree in Special Education from the University of Southern Maine and her Teaching Certificate in Special Education in 1997. She started working as an individual Developmental Therapist in 2003 so she could balance her love of working with children with a variety of different needs with raising her own children. She lives in Scarborough with her husband, John and her children, Emma and Cameron. Michele Cecere is originally from Bridgeport, CT but moved to Maine in 1996. She has two beautiful sons, Anthony and Nino. 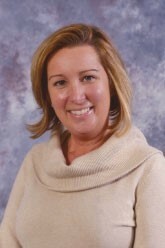 Michelle graduated in 1995 from the University of New Haven in West Haven, CT with a Master’s Degree in Education. She holds a Maine State Teacher Certification in Special Needs. Michele was introduced to the Special Education world in 1997 as an Educational Technician and never looked back. She has been a teacher for over 14 years and finds every day a challenge and a gift. The students she has been blessed to know while watching them overcome many obstacles humble her. Her passion is working with children who have their own unique style of learning and helping to make it work to their advantage and success. 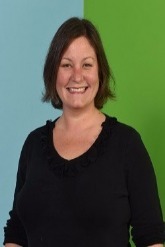 Michele looks forward to working with the students, their families and the teaching team at Shooting Stars. Emily graduated from The University of Southern Maine with a Bachelor of Arts degree in Liberal Studies and a minor in both K-8 education and deaf studies. 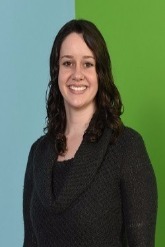 Over the last 8 years Emily has worked with children in multiple different capacities. She began subbing at The Shooting Stars Program in 2013 and joined our teaching staff full time in December of 2014. Emily is beyond excited to be starting her career at such a wonderful program. Kathleen lives in Scarborough with her husband Dennis and 4 children. She graduated with a degree in business administration from St. Michaels college in Burlington Vermont. Kathleen has balanced raising her children while working for their family business; as well as volunteering at her church teaching Sunday school classes. Outside of work, Kathleen enjoys spending time with her family, walking on the beaches , hiking and biking. 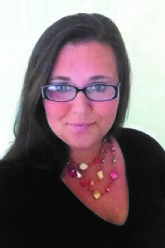 Kelledy Farino is employed through Northeast Hearing and Speech Center. She earned a Bachelor of Science degree from Nazareth College of Rochester NY and a Master of Science degree in Communication Science and Disorders from the University of Vermont. Prior to joining Northeast Kelledy worked in Burlington Vermont with both preschool and school aged children. She has a special interest in language development and language disorders. Kelledy is a certified member of The American Speech-Language-Hearing Association. Amanda grew up in NH, where she graduated from Keene State College with degrees in Chemical Dependency and Occupational Safety and Health. She moved to Maine in 2000 and worked in various offices until the birth of her son in 2005, after which she became a stay at home mom. When her daughter was born at the end of 2008, Amanda began doing childcare professionally, first as a nanny and then as the operator of her in-home daycare. When her youngest started kindergarten in 2014, Amanda decided it was time to close the daycare and go back to work outside of her home. She began substitute teaching at Shooting Stars in January of 2015, in all three classrooms, and is thrilled to join the Orange Starts classroom as an Associate Teacher. 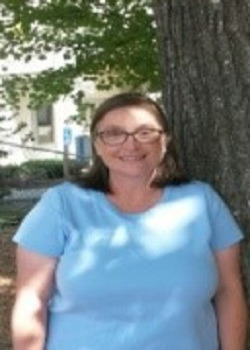 Ann-Marie graduated from Casco Bay College with an Associates Degree in Medical Secretarial. She worked for Orthopedic Associates until 2002 when she decided to be at home after her 2nd daughter was born. She has done various volunteering at her children’s schools and started subbing at Shooting Stars in November 2012 in all 3 classrooms. Ann-Marie quickly realized that she loved being a part of a team of wonderful teachers and helping the children learn and play everyday. She lives in Scarborough with her 3 daughters. Julieann attended the University of Southern Maine. She is the mother of two daughters, Olivia and Amelia, and two stepdaughters Carley and Linsey. She has worked with pre-school aged children for over 10 years. 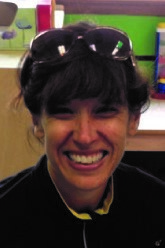 Julieann started working at Lil Folk Farm Preschool in Scarborough. She taught nursery school and preschool there for about 6 years before taking a break to start her own family. She went back to work at Lil Folk Farm for 3 more years when her youngest started kindergarten. During this time, she was blessed to meet her new stepdaughters. Her youngest stepdaughter, Carley is developmentally challenged and diagnosed with Autism. 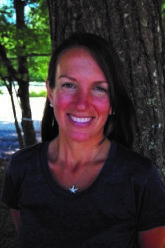 In January of 2009, Julieann started working at Shooting Stars as a substitute while continuing to work at Lil Folk Farm. Her personal experiences with Carley and all the special gifts she brings to her life everyday along with those of all the beautiful children she has met at Shooting Stars made her realize what she truly wanted to do with her life was work with special needs children as well as mainstream preschool aged children. She is proudly a fulltime part of the amazing program and staff at Shooting Stars. Tara Jacquet earned a Bachelor of Arts in French Language and Literature from McMaster University and a Master of Science in Communication Sciences and Disorders from the University of Vermont. 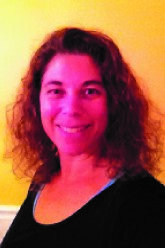 Prior to joining Northeast Hearing & Speech, Tara worked at CommuniCare Therapy in Ottawa, Ontario. 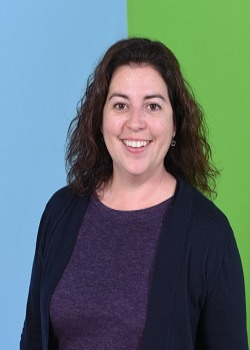 In addition to clinical practice, Tara is a speech and language consultant for the Early Reading First Grant through the Muskie Institute and the U.S. Department of Education. Areas of special interest include Early Intervention and Literacy. Tara is a certified member of the American Speech-Language-Hearing Association. 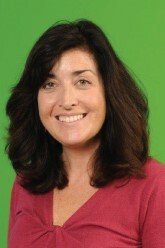 Nikki began her teaching career at Holy Cross School in South Portland as the first grade teacher. She held held this position for five years. Every day was a gift, full of learning and joy. After her fourth child was born, Nikki and her family decided it was time to lead her own class at home! 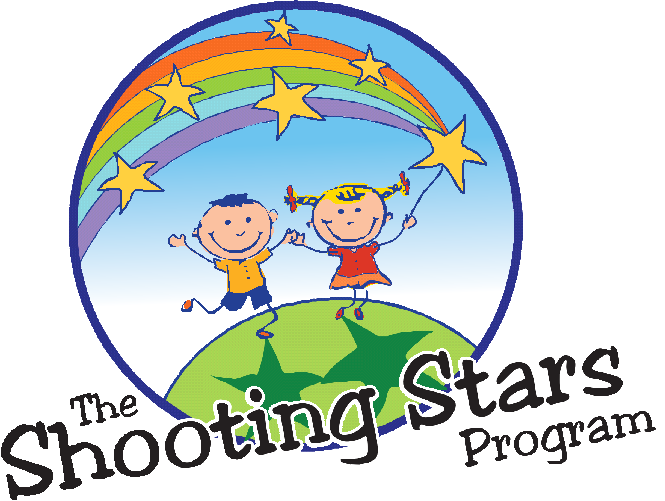 Now that her children are in school Nikki is very excited to be part of the Shooting Stars Program. She knew immediately that the Shooting Stars children, staff and families would be a great fit. In her free time, Nikki enjoys spending time with family and friends, reading and running. Cari Lyford lives in Scarborough with her husband and three children, Noah, Caleb, and Harper. 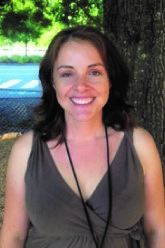 Cari received her BA and Master of Arts in Teaching from Bennington College in Vermont. 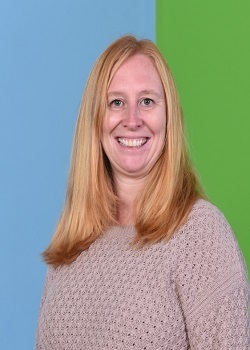 She spent the next several years working in the greater Portland area teaching first grade and third grade, as well as becoming a trained reading specialist working intensively with at-risk first grade readers. After sending her youngest off to kindergarten in 2014, Cari was thrilled to return to teaching and join the staff at Shooting Stars where all of her children had attended preschool. 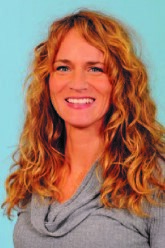 Lisa McDonnell is a returning teacher to The Shooting Stars Program. Lisa has been with Shooting Stars since 2007. She has a Bachelor's Degree in English from the University of Massachusetts at Amherst. Lisa has completed several continuing education courses in Special Education as well as attending the National Downs Syndrome Convention in 2008. She is currently pursuing a certificate in Special Education through the University of Phoenix. She lives in Scarborough with her husband, Doug, and two sons, Ryan and Liam. Kelly graduated with a BA in English in 1997 and a JD in 2000 from Catholic University in Washington, D.C. After graduation, she worked in the legal department of the Massachusetts Teachers’ Association before staying home with her children. Once her children were in school full time, Kelly worked for Project GRACE and then as the director of faith formation for children Pre-K to 8th grade at St. Maximilian Kolbe in Scarborough. Kelly is an active volunteer in Scarborough schools and youth sports and is thrilled to be working with such amazing colleagues and children at The Shooting Stars Program. Kelly lives in Scarborough with her husband, Jack, and children, Fiona, Killian, and Cormac. Laurie began subbing at Shooting Stars in the spring of 2012 and immediately felt right at home with the incredible children as well as the caring and knowledgeable staff. She is very excited to now be working in the Green Stars room. Although her formal schooling is not in Education (she has a BA in English from Fairfield University and an MA in Marketing Communications from Emerson College), she has always loved working with children and has been subbing in South Portland for the last 6 years in grades pre-K through 8th. Laurie has also worked with children in a variety of volunteer positions over the years, from Girl Scout Leader to Library Volunteer to Children’s Liturgy Leader at her church. As you can see, she loves to be around children! One of her favorite things about being at Shooting Stars is it is impossible to go more than a few minutes without smiling at something one of the children has done or said and just experiencing their joy in the little things that we adults often take for granted. Laurie’s husband Steve and she live in Scarborough with their 5 children, 3 boys and 2 girls, ages 10 to 19. With a large family, most of her “free time” is spent driving her children to their sports events and cheering them on, but she also loves to read, bake and get to the beach as much as possible. 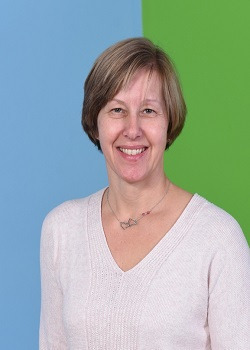 Catherine Peterson has a Bachelor of Education degree from University of Toronto and a Bachelor of Arts (Psychology/Sociology) degree from Queen's University in Kingston, Ontario. 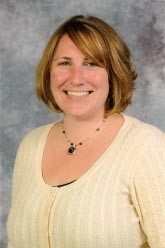 She has worked with children of all ages since she was 18 starting at a YMCA conference center as a children's leader. Since then she has taught a sixth grade gifted program in Newmarket, Ontario. After moving to the United States, Catherine has worked in preschool settings in both churches and schools for fifteen years while raising her three children Rachel, Adam and Max. Catherine recently moved to Scarborough in August 2015 from Chicago and has been working at Shooting Stars since October 2015. Genia graduated from the University of Maine at Farmington with a degree in Early Childhood Special Education and a minor in Psychology. She began her teaching career at the May Center for Child Development where she worked with children who have Autism for one-and-a-half years. Next, she worked in the South Portland School Department as a one-on-one Ed Tech for a child with Autism for two years, modifying his program whenever necessary. Genia’s goal was always to teach in the public school system and in 2000 she was hired as a special education teacher in Scarborough and began a behavior classroom. Her caseload the following year included teaching kindergarten students with special needs in the afternoon in a special self-contained classroom. Over the next two years her caseload consisted of children requiring resource room services. At the end of the 2001-2002 school year she had her daughter Barrett and was home with her for the summer and then continued teaching full-time in the fall. When her son Brady was born in December 2003, Genia decided to stay home and be with her children. After working part-time at Starbucks for a few years, she was given the opportunity to get back to her roots and continue working with preschoolers and special needs at Shooting Stars. 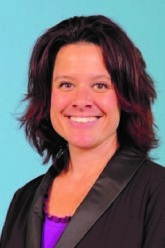 Genia resides in Scarborough with her husband, Chad, two children and three dogs. Libby Roy is very excited to have joined the Shooting Stars Program team of teachers. She graduated from the University of Maine at Farmington in 1995 receiving a bachelors in Special Education with a concentration in Emotional Disturbances and a bachelors in Psychology. Libby's first teaching job was at the May Center in Portland, Maine. It was a great introduction to the field of early intervention and the start of a wonderful career. She has many years of experience as a special education teacher in preschools for students with autism and other disabilities. Most recently Libby taught students with autism and other developmental delays in a public school. 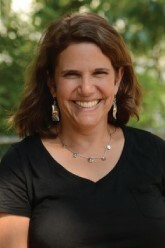 Tracy Silverman earned a Bachelor of Science from Syracuse University in Health and Exercise Science and a Master of Science in Physical Therapy from Simmons College in Boston. 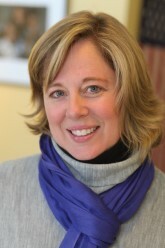 Prior to moving to Maine in 2003, Tracy worked in Early Intervention in the Greater Boston area for 4 years. Tracy has been in private practice since 2004 and treats children from birth through school age in the Greater Portland area. She has a special interest in early motor development. 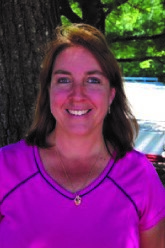 Janice St.John is a graduate of the University of Maine at Farmington; she earned her BA in Elementary Education. She is also a busy mother of four children; Julia 15, Christopher 13, Joseph 10 and Sophia 6. She taught in a special education classroom in the South Portland School System for two years after graduation. It was then that she decided to start a family and stay at home and be a mom. In between children she also taught preschool at Lighthouse School in South Portland along with supervise a staff of 10 teachers and help to implement a new curriculum. It was here that she fell in love the preschool level of teaching. This fall her youngest daughter Sophia went off to kindergarten. For her it was time to enter back into the world of education. She started subbing in the fall of this year and quickly became a full time teacher in the orange star classroom. Originally from Georgia, Mardi moved to Maine with her husband and daughter in the fall of 2006. She started subbing at Shooting Stars in 2010 and officially joined the Green Star classroom in 2015. Aubrey is originally from New Hampshire. She graduated with her Master of Science in Occupational Therapy from the University of New England. Aubrey worked for two years in a pediatric outpatient setting in New Hampshire. Aubrey had the opportunity to learn from Stacy McGuire, OTR/L, at Shooting Stars during her pediatric rotation while at the University of New England. 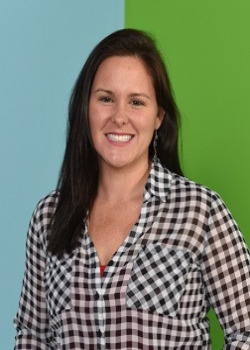 Aubrey has worked with children with many types of disabilities and is diligent and creative in optimizing outcomes for children and supporting families so that children can generalize new skills in their homes and communities. Aubrey has a passion for horses and has specialized in a therapy approach that uses the horse’s walking motion as a treatment tool for occupational therapy goals. After two years in New Hampshire, Aubrey has decided to open up her own private practice and is excited to work with the children and staff at the Shooting Stars Program. Stephanie Wagner lives in Saco with her husband, two kids, Allie and Daniel, and a number of pets. She earned her Associates Degree in Early Childhood Education and worked as a nanny and as a teacher for four year olds while she earned the degree. Upon graduation she worked as an Assistant Teacher in the four year old room at Pine Grove Child Development Center, which is a Montessori based program. Once her daughter was born Stephanie decided to stay home to raise her and then her son as well. She volunteers in their classrooms as often as possible and chaperones many field trips. Now that they are getting older Stephanie decided to return to work. She started subbing at Shooting Stars in September of 2016 and quickly fell in love with the program. She was very happy to accept an Assistant Teaching position in November of 2016 and become a permanent part of the Shooting Stars team. In her free time Stephanie enjoys spending time with her family and friends and taking care of their many animals. 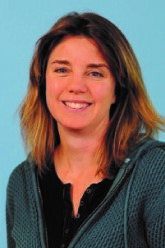 Becky Young has a Bachelor’s degree in Social Work from the University of Maine at Orono. 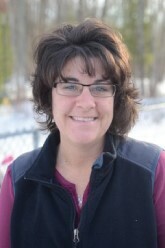 She went back to school in 1996 to get her teaching degree in grades K-8 through the Extended Teacher Education Training Program at the University of Southern Maine, and completed her Masters in Teaching and Learning in 1999. She was an Ed Tech III at the Greely Middle School, until the birth of her first child in 1999. She has been a stay-at-home mom for the past fifteen years. Her oldest daughter is graduating from Scarborough High School this year and her youngest daughter is a Freshman. Her son, who has special needs, attended Shooting Stars when he was in preschool and is now in 4th grade at Wentworth. Becky recently started working at Shooting Stars and has found it a great fit for a single mother! The education and experience of the staff at Shooting Stars is exceptional and they have helped make it an easy transition for her to go back to work. The work itself is extremely challenging and rewarding. Becky really enjoys working with young children. They are still so genuine and enthusiastic to learn about the world around them and she is glad to be a part of that process!